December 21, 2016 @ 12:20 p.m. 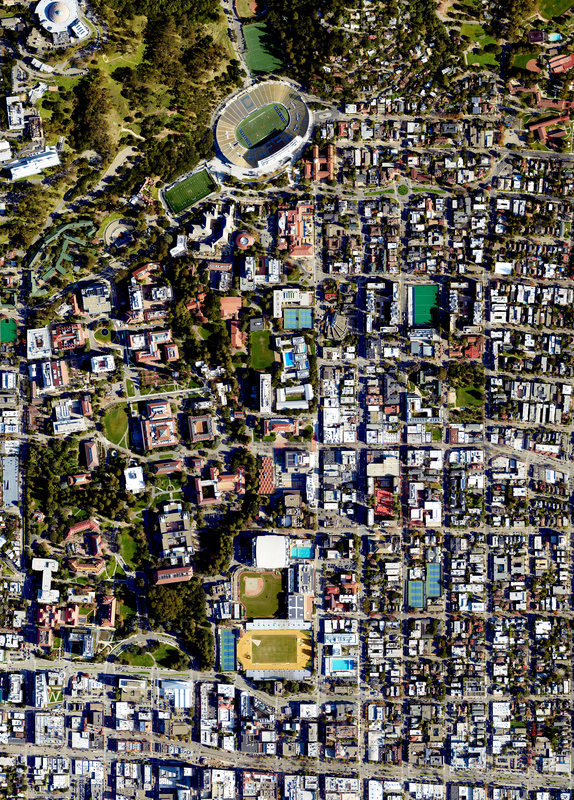 Explore UC Berkeley and adjoining neighborhoods from the air. Zoom and pan using your mouse or touch features of your mobile device. Click on the home icon to reset the view. Click on the X to go full screen. This is an ortho-mosaic made using Agisoft Photoscan. It’s not perfect. Due to the software used to create the orthomosaic, some blurred lines are apparent along the border where different images were merged – you might notice the blurred areas or distortion along roof and tree lines. But it is geo-referenced. We balanced taking the time for a perfect photo vs. sharing it in a timely manner.